Styled in a natural high gloss finish, the Ibanez PF Performance series PC15ECE is a full-sized grand concert acoustic guitar made from spruce, sapele, and mahogany. This single-cutaway guitar offers a rich and lively tone, well suited for solo performances or playing with a full band. 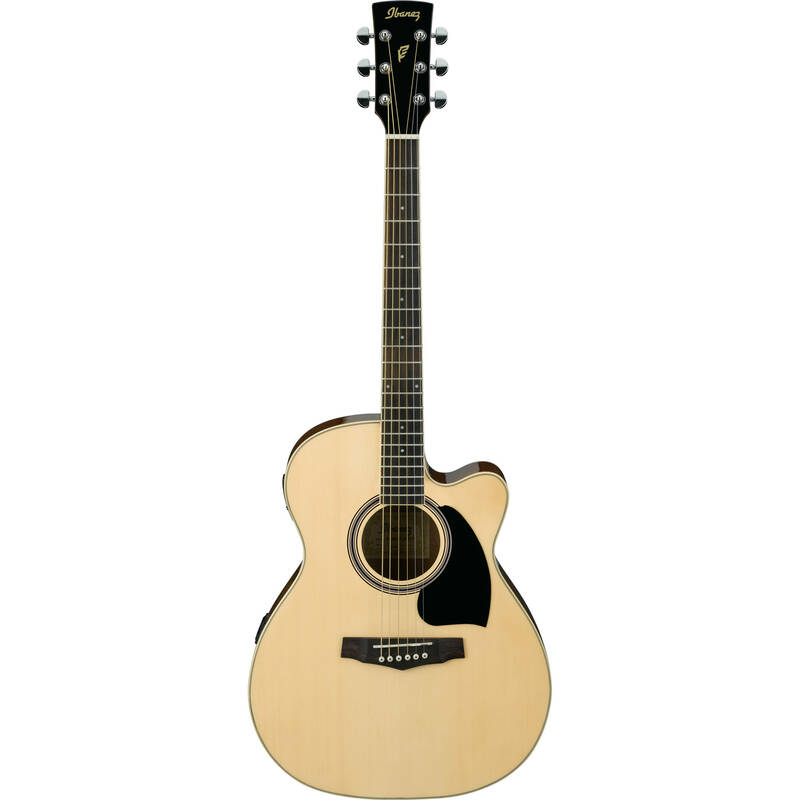 The PC15ECE sports a spruce top and sapele back and sides. Its neck is made of mahogany and sports a nandu wood fingerboard. Its bridge, which utilizes Ibanez Advantage bridge pins, is also constructed out of nandu wood. For electronics, the instrument offers an Ibanez undersaddle pickup and an AEQ-2T preamp. The preamp sports controls for volume, bass, and treble, as well as a built-in tuner. It runs on a 9V battery. Box Dimensions (LxWxH) 23.0 x 18.0 x 17.0"